"The moment of truth. Or, rather, untruth." Rather than allowing her recently widowed mother to become destitute, Mulan of of Lithuania bravely disguises herself as a young man and takes her father's place in military service, as the armies of Butautas gather to fend off repeated forays into Poland by the misguided Teutonic Knights. Changing her name to Mikolai, she travels with her father's young attendant in hopes that she can exchange courage and dexterity for strength on the battlefield. She does not have to wait very long for an opportunity to prove herself. Wolfgang, son of the powerful duke of Hagenheim, is more than just a little curious about the young soldier with the smooth skin and small stature, especially when Mikolai nearly bests him in an archery contest. But when the adolescent warrior bravely leads the entire regiment into the face of their enemy, their connection strengthens . . . . before desperation exposes a well kept secret. Melanie Dickerson fans will be positively enchanted by the story of Mulan and Wolfgang ,with its raging battles and sweetest of moments, for war has a way of coaxing love to the surface of each and every heart. 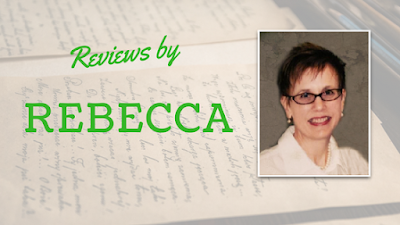 *I bought this novel and was under no obligation to review, nor provide a positive review. From New York Times bestselling author Melanie Dickerson comes a fresh reimagining of the classic Mulan tale. She knows women are expected to marry, cook, and have children, not go to war. Can she manage to stay alive, save her mother, and keep the handsome son of a duke from discovering her secret? 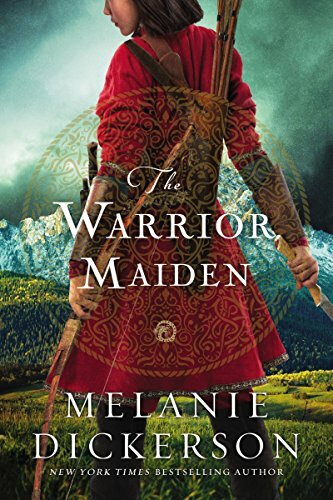 When Mulan takes her father’s place in battle against the besieging Teutonic Knights, she realizes she has been preparing for this journey her whole life—and that her life, and her mother’s, depends on her success. As the adopted daughter of poor parents, Mulan has little power in the world. If she can’t prove herself on the battlefield, she could face death—or, perhaps worse, marriage to the village butcher. Disguised as a young man, Mulan meets the German duke’s son, Wolfgang, who is determined to save his people even if it means fighting against his own brother. Wolfgang is exasperated by the new soldier who seems to be one step away from disaster at all times—or showing him up in embarrassing ways. From rivals to reluctant friends, Mulan and Wolfgang begin to share secrets. But war is an uncertain time and dreams can die as quickly as they are born. When Mulan receives word of danger back home, she must make the ultimate choice. Can she be the son her bitter father never had? Or will she become the strong young woman she was created to be? This fresh reimagining of the classic tale takes us to fifteenth-century Lithuania where both love and war challenge the strongest of hearts.